Samsung has unveiled the Galaxy S4 Mini Plus, which nobody was waiting for. If you are wondering why S4, why Mini, and why Plus? Allow me to explain it. The world's top smartphone manufacturer Samsung is in a different league, when it comes to naming its handsets. First it makes huge phones, then releases a compact 'Mini' version with watered-down specs. Then, bumps-up the specs a bit and calls it a 'Plus'. That's how we get the Galaxy S4 Mini Plus. The phone based on 2013's flagship model, doesn't offer anything new in the design department. The S4 Mini Plus sports a Galaxy S4 mini plus features a 4.3" Super AMOLED screen with 540x960 pixels. It is powered by a quad-core Snapdragon 410 chip clocked at 1.2 GHz. The phone has Adreno 306 GPU and 1.5 GB RAM. There's 8 GB of internal storage. You can expand it via via a microSD card. For photography, there's an 8 megapixel rear camera. Don't get your hopes high on selfies, as the phone features only a 1.9 megapixel camera. Other specs include usual connectivity options such as Wi-Fi, Bluetooth, 3G, and NFC. Battery capacity is 1900 mAh. 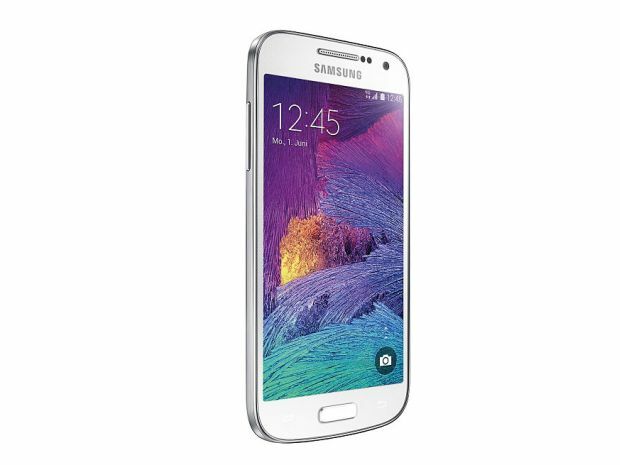 The Samsung Galaxy S4 Mini Plus is listed on the company's German website with a price tag of 239 euros that roughly translates to Rs 16,800. At this point, there's no word on its India release.